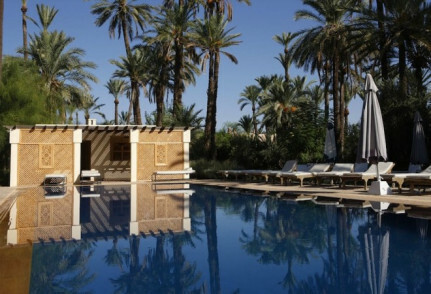 15 minute drive to central Marrakech allows you to escape the rush, while the wealth of amenities means you never have to leave! All children welcome, babysitting services are available. Learn how to cook traditional Moroccan food using sustainable and responsible ingredients. Nearby ballooning centre offers unbeatable views of this epic landscape. Yoga and meditation lessons can be organised at the hotel. Amelkis, Al Maden, Royal Golf and Palmeraie Golf Palace are all a short drive away. Bicycle rental is possible on site, this is the perfect way to explore the local countryside. Take a camel or a horse and set off into the wildreness. The feeling of being at home, to quickly take over the place, thanks to the kindness of all the staff and stay in spacious and comfortable suites. The excellent cuisine, Bio vegetable garden, the bowling, the possibility of bike rides or hypnosis sessions and yoga allows an unforgettable stay. You will enjoy the stillness and calm. The villa 55 is located 10 minutes from downtown where you will find all the shops, museum, bar, restaurant. At the exit of the Villa 55 you have a « douar » village. For breakfast, we offer tea, coffee or hot chocolate, bread, cake, Moroccan pancakes, fruit and yogurt. Our chef prepares lunch and dinner. 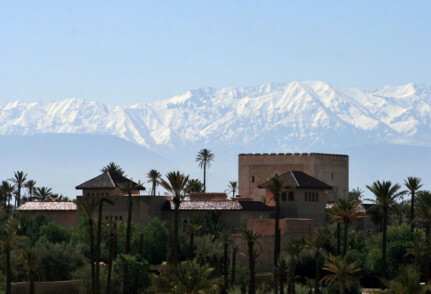 We have the best couscous in Marrakech and delicious tagines and sweet and savory pastillas.